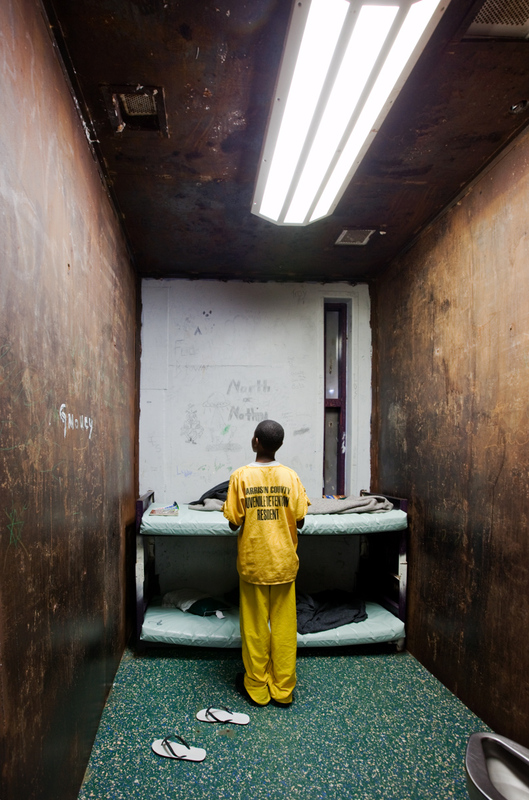 Richard Ross has been photographing the juvenile justice system for nearly a decade and has visited youth detention centers in more than 30 states. The system, Ross says, can get kids out of immediate danger, but it doesn’t do enough to help keep them out of trouble in the future or change the conditions that put them there in the first place. “We say, ‘It’s better than having them on the streets.’ But that doesn't address the issue of why their neighborhoods aren’t better places to live. Just by the zip codes they’re in. It’s more likely these kids will go to jail than college. The kid hasn’t failed; we’ve failed,” he said.